The MKH 8060 Shotgun Microphone and Filter Module Kit from B&H features the lightweight and rugged MKH 8060 shotgun microphone from Sennheiser which, due to its short interference tube, yields a pleasing supercardioid/lobar pickup pattern. The microphone is complemented by the MZF 8000 filter designed especially for the broadcast and film industries. The filter effectively blocks interference caused by infrasound, such as low-frequency noises caused by wind and handling. 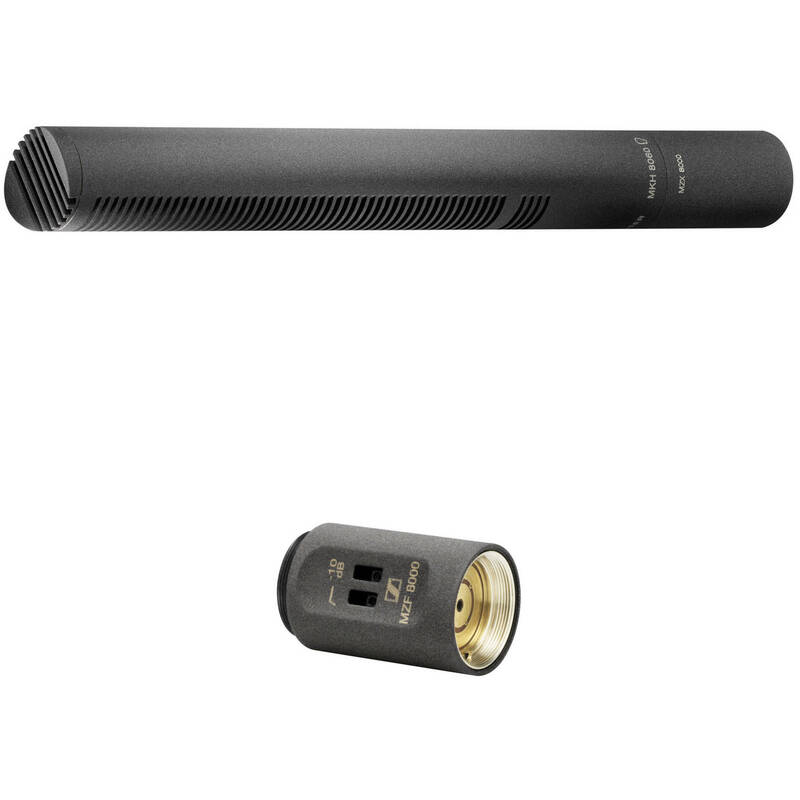 The microphone ships with an analog output module with an XLR connector, but with the appropriate accessory, the body can to interface directly into digital systems via the optional MZD 8000 digital module. The MZF 8000 from Sennheiser is a filter module designed for use with the MKH 8000 series of RF condenser microphones. The filter blocks interference caused by wind and handling noise, while still preserving acoustic detail. The filter has a switchable roll-off filter, a fixed low-cut filter, and a -10dB pad, allowing you to adjust the response of your mic. The filter has a balanced output for wide compatibility. Box Dimensions (LxWxH) 9.7 x 6.9 x 3.6"
Box Dimensions (LxWxH) 6.0 x 4.4 x 1.6"